It’s another year and this means we have to set things right. As a blogger, some of the decisions you will consciously make will warrant a lifestyle adjustment. Some things have to go to make room for new plans. If your love for blogging is to progress to blogging for a living, these tips may just lead you to your goal. Post regularly– The internet is awash with content churned daily on different platforms. If you are going to keep up, then you have to write more. Produce content that will engage your audience and make sure you stay loyal to your readers. Having a posting calendar helps you stick to your goal. Read more books and blogs– One needs to fuel their brain with fresh ideas in order to have those creative juices flowing. Reading is a must for anyone who wants to write well. One should consume just as much of the content they desire to produce. Does the phrase Garbage in Garbage out sound familiar? Of course, there’s the issue of originality, find your own voice. Engage more- On your visits to blogs, don’t just read and not comment. If an article speaks to you, if you like it, then leave a comment. This way, you create positive conversations around things that matter to you. When people comment on your blog, it is courteous to reply to them, especially if you are still growing your audience. Comments do not have to be profound. That’s what blogs are for, conversational platforms. Share more blogs- No one can create enough content of their own to be sharing every day. That is why it is important to share the content you come across that may interest your audience. Content is shared on social media profiles to avoid dormancy. You also get more genuine following on social media through constant sharing. Your followers on social media translate to your blog’s audience. Know your audience- Use analytics on your blog and various social media platforms to know your audience. Only when you know your audience, can you produce relevant content to engage them. Network more– Most bloggers and writers seem to be shy, away from their keyboards. This year, make a point to meet with the digital community and interact with real people. Business opportunities and stories present themselves at networking events. 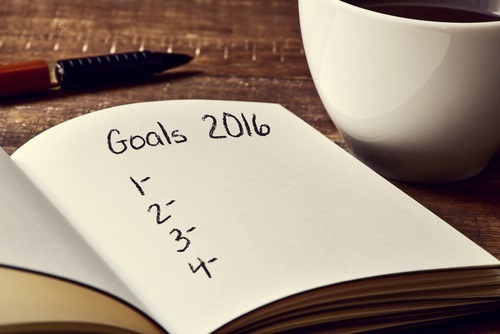 Be accountable– Have a blogging companion to hold you accountable to your resolutions. An accountability partner can be your mentor, probably a fellow blogger. Like many resolutions, without making a mental effort to keep them, you just end up in circles. This article on resuscitating a dying blog would also interest you. All the best with your blogging this year. Thank you Juliet very insightful post. Content! Great stuff ,need to jump start my blog .Thanks again. Glad to be of help to you Mwangi.